The stats are in: Southeast Asia has been steadily rising in popularity and as a result 32.6 million foreign tourists took a Thailand vacation in 2016 alone. Don’t worry! 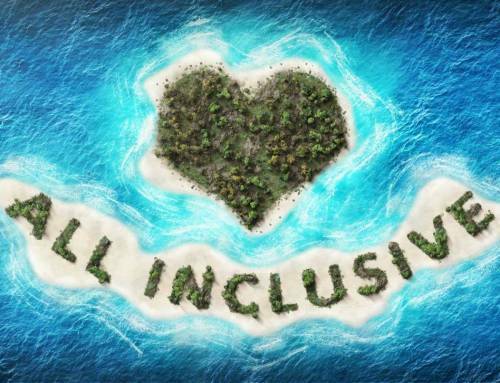 We’re here to provide guidance on one of the most beautiful countries in the world. Let’s get into the best tips for creating an unforgettable adventure! With a bit of advanced planning, you can consequently score very affordable budget tickets to Thailand. In fact, when planned accordingly, a trip from Los Angeles to Bangkok may cost nearly the same as a trip from Los Angeles to New York City. Not bad, right? Most people start out in Bangkok, but please don’t limit your stay just to the city. There is so much to see in this country! Many people visit Thailand for several weeks at a time, but determine how many days you want your trip to last, as this will help determine your itinerary. 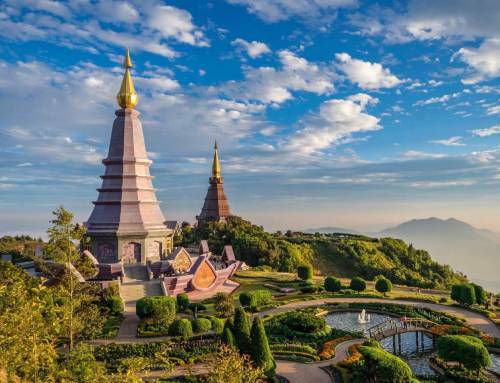 For example, if you’re interested in scenery, nature, and the classic elephant experience, you can’t have a proper Thailand vacation without a visit to Chiang Mai in the north region. If you’re looking for more of a beach vibe, you’re going to want to look into the South region. As a general note, map out where you want to visit first, and figure out the accommodations afterwards. 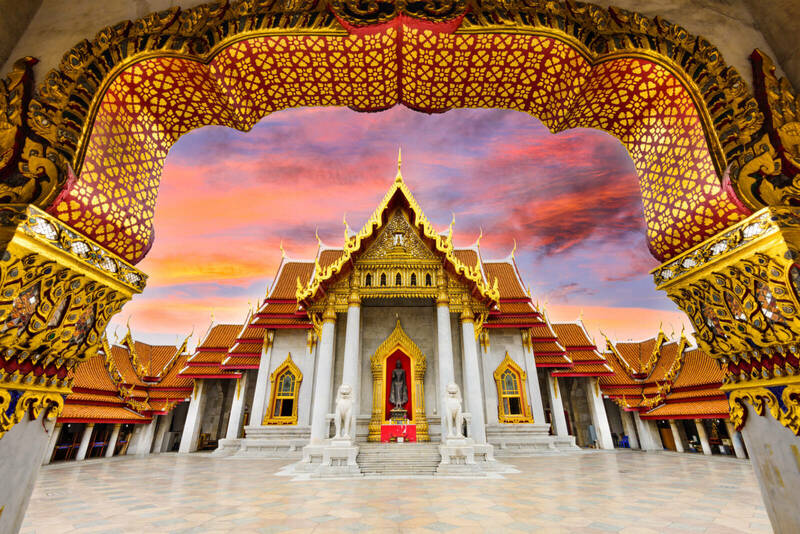 Just like most countries, Thailand offers a variety of organized tours. These tours often handle transportation, excursions, and accommodations at a fixed, package price. This is probably a great option for those who simply want the peace of mind of someone else taking care of their travel details. However, with a bit of advanced research and planning, you can navigate your own trip and itinerary. This allows you significantly more freedom, flexibility, and ability to change your plans at the last moment. It also allows you to design the exact trip you want without taking a group of strangers into consideration. Note that thousands of backpackers venture through Thailand each year. With practical safety sense and responsibility, this country is friendly to anyone traveling solo or doing it on their own. Ready for the most flavorful and delicious cuisine of your life? You’re in for a treat on your Thailand vacation. This is home to some of the best dishes in the world, so bring an empty stomach and an appetite. 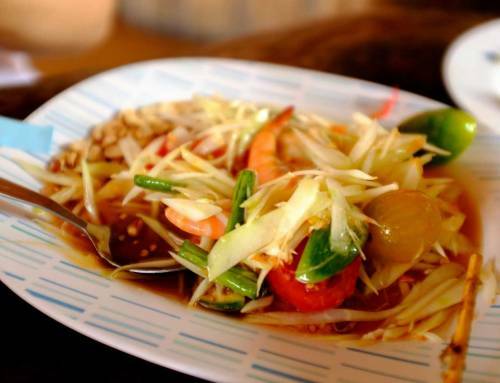 If you’re feeling thirsty, be sure to check out famous Thai beers to pair with your meals. Be sure to gulp one down from a 7-Eleven (it’s tradition!). Looking for more of a caffeine buzz? Thailand is known for its complex-tasting coffee varieties with special strains of Arabica beans and Nacha coffee. They’re also known for their world-famous iced teas (Cha Manao). And, if you’re feeling brave? There are plenty of options to eat insects. We’re talking crickets, mealworms, and beetles. Enjoy! Getting around during your Thailand vacation will be relatively inexpensive, even if you’re traveling between larger distances. For example, local buses run for as little as 8 THB per trip. Motorbike taxis range around 35 THB and prices are also negotiable. Additionally, depending on the season and local weather temperatures, many cities are walkable. Even train service around the country is cheap, with trains costing as little as 50 THB. Furthermore, if you ever feel confused or concerned about the prices, just ask. Thai people are known for their friendly and helpful personalities! Ready to try scuba diving? Interested in deep water soloing? 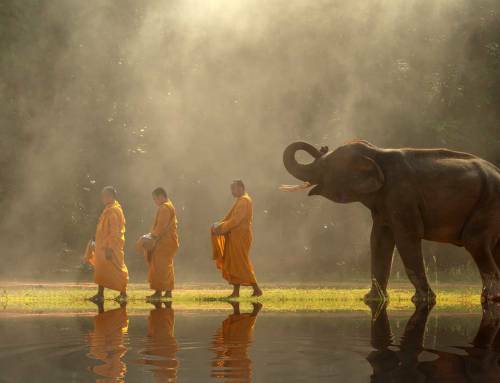 Want to experience a classic Thai massage or visit an elephant sanctuary? Thailand is known for having infinite activities (the kind that leave a lasting memory) for every kind of traveler. This is an amazing country full of beautiful sights and experiences. It’s therefore very common for foreigners to visit for a Thailand vacation and never want to leave! With that in mind, even if you are planning out a tight itinerary, be sure to plan a bit of free time for just wandering around and taking the day spontaneously. Do your best to be flexible with your travel plans. After all, who knows? You may end up getting scuba certified in the process as a result of spending a few extra days at the beach. You may extend a two-week trip into two months (you wouldn’t be the first, and you certainly won’t be the last). Even though Thailand offers a variety of inexpensive activities, there is no shortage of first-class and five-star experiences. Consider taking in all the beautiful sights and experiences while staying in a luxurious accommodation and having your every need pampered. After all, this is vacation! You deserve to be treated well! 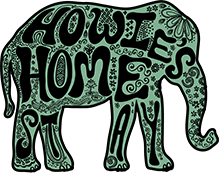 In conclusion, if you’re searching for the ultimate Thailand experience with the authentic feel our country is known for, Howie’s HomesStay is happy to help you have the trip of your lifetime!